Many borrowers have used the Aspen Appraisal Group (AAG) to avoid this kind of situation. As a home appraiser, we specialize in giving borrowers a good idea of what their home is worth before they start the loan process. There are several advantages to doing this. First, by knowing what a home is worth, the borrower can decide if it is worth their time and energy to pursue a refinance loan. Second, this may save the borrower a significant amount of money in additional appraisal fees to the lender during the loan process. Third, should the lender’s appraiser have a significantly different value opinion, the borrower will already have a second opinion from a professional home appraiser as a backup—which may be used to successfully dispute the lender’s house appraisal, and possibly result in successfully closing the loan. We specialize in ‘pre-loan’ appraisals and are excited to have saved many homeowners money and time in their ‘pre-approval’ process. 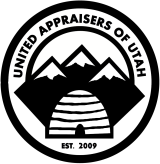 At Aspen Appraisal Group, we offer a free initial consultation and several price points for various budgets. Call today with any questions you might have or schedule an appointment. You can also receive a free quote by clicking here. If you aren’t sold yet, see what others are saying about Aspen Appraisal Group by clicking here.